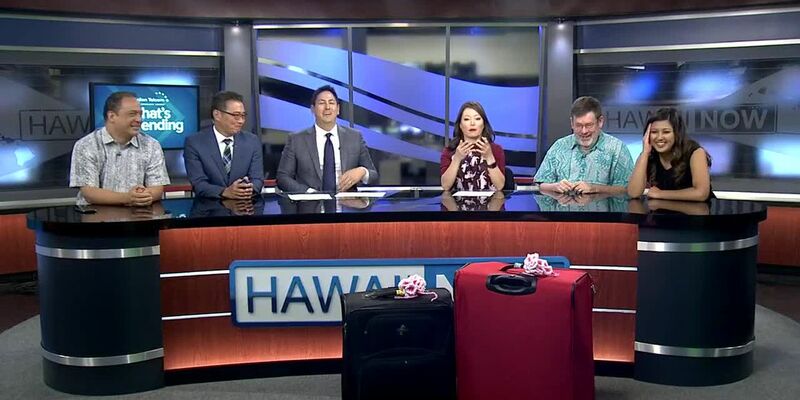 The Hawaiian Airlines May Day tradition continues. 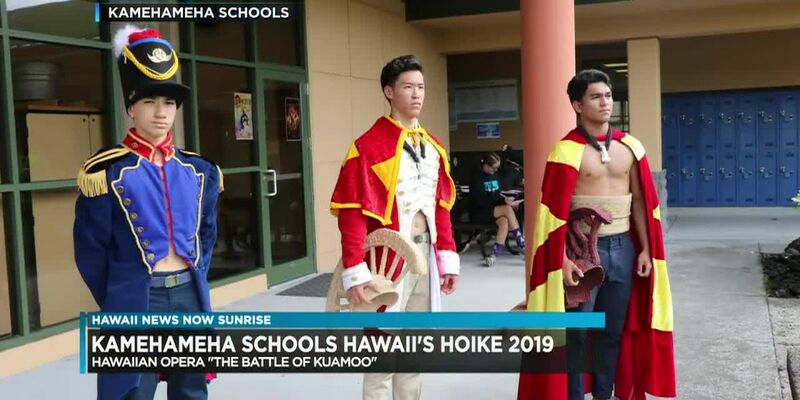 This year is a reprise of “The Battle of Kuamo`o," and the students are taking the show all the way to Scotland. 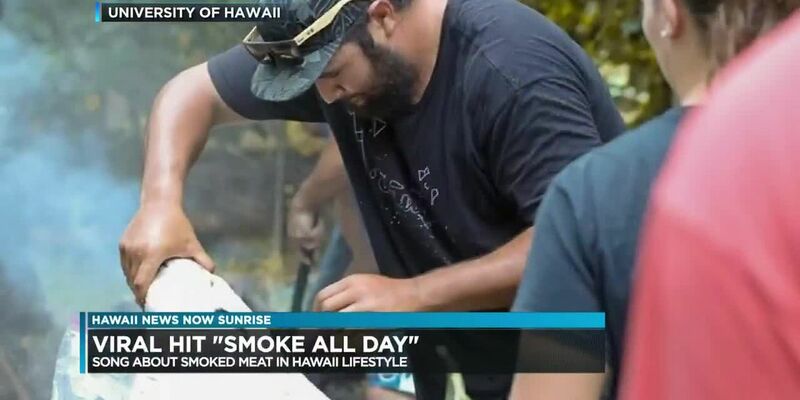 In his viral hit “Smoke All Day,” he sings about smoked meat, and its place in Hawaii. 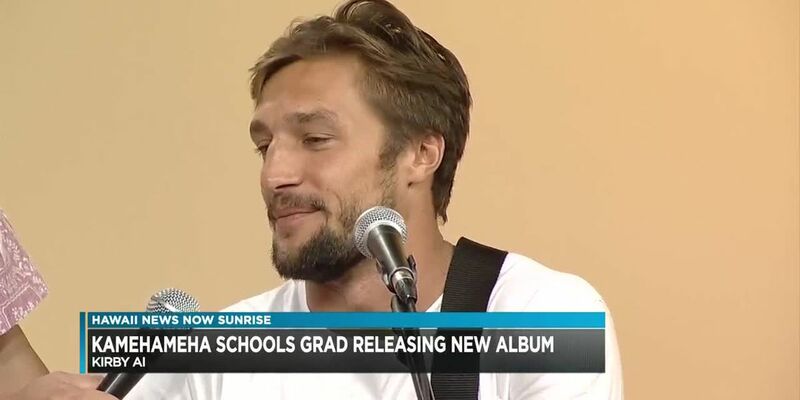 The wait is finally over! 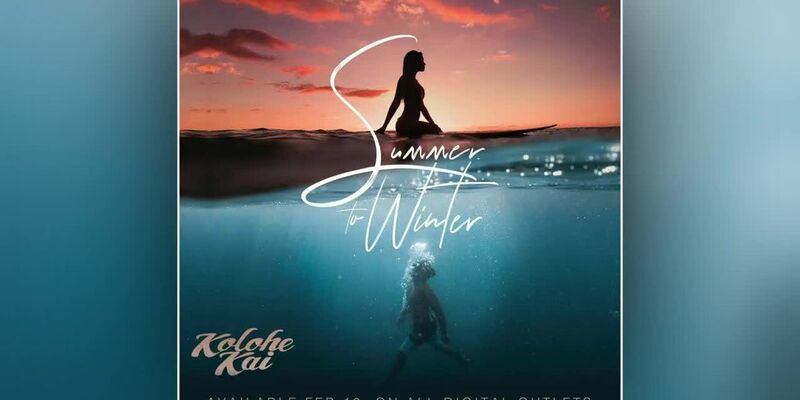 Kolohe Kai’s 4th full length album is coming out today. 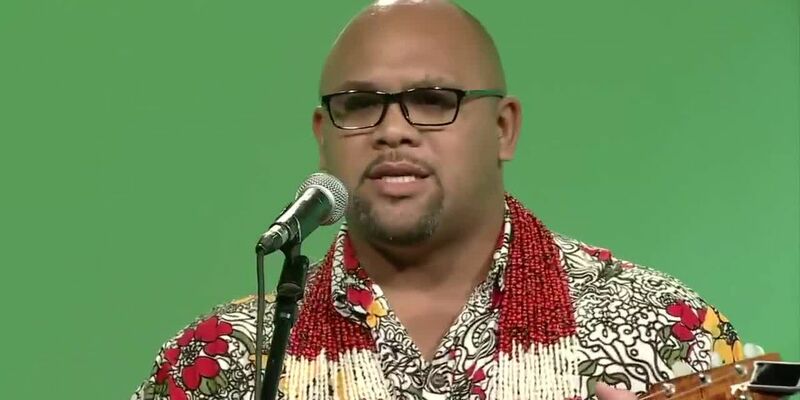 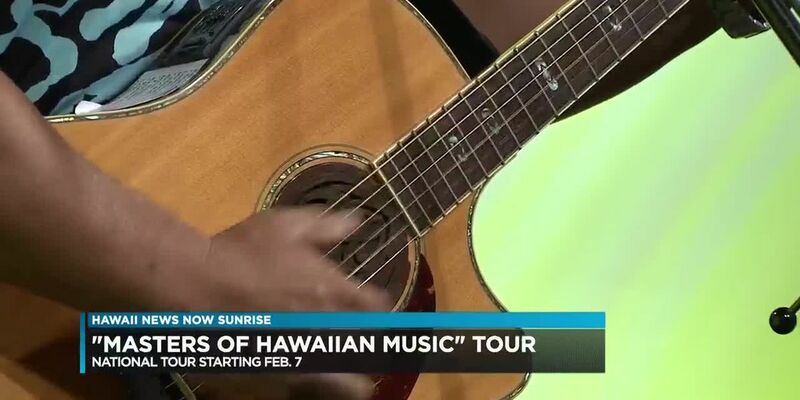 Na Hoku Hanohano-award-winning musician Nathan Aweau is embarking on a national tour. 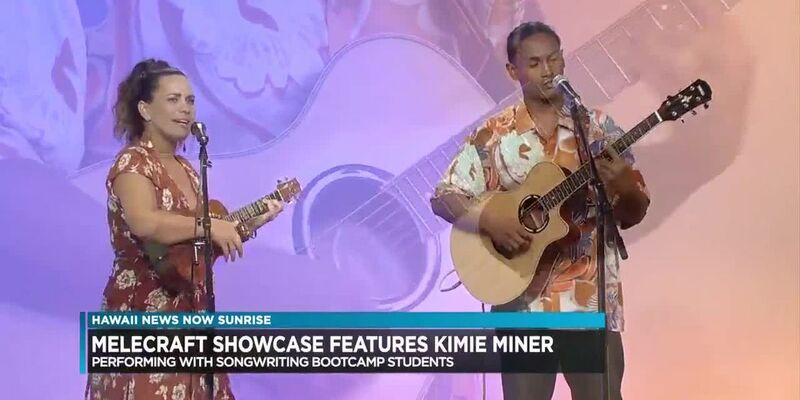 Na Hoku Hanohano award winner Kimie Miner is performing at the Hawaii Convention Center next weekend. 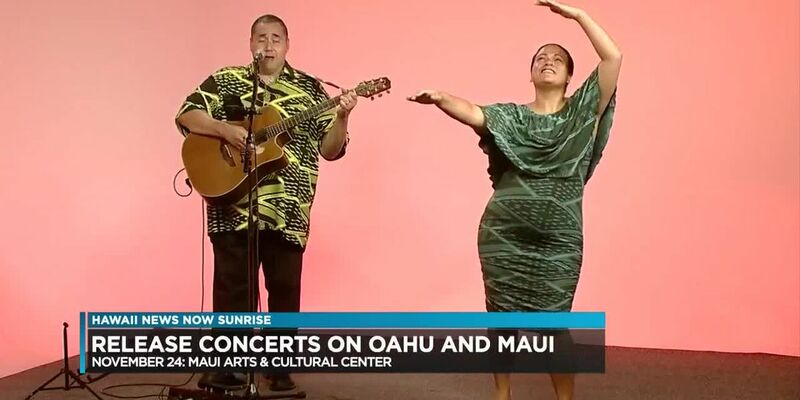 Pop artist and Makaha girl Mimi is hitting the stage twice over the new few weeks. 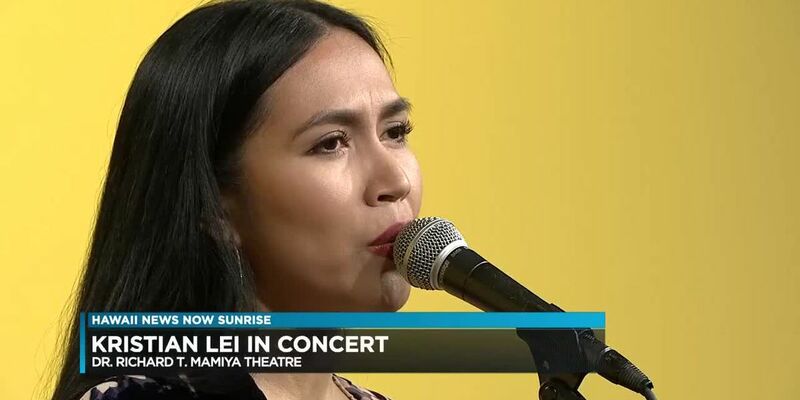 Award-winning Natalie Ai Kamauu is working on a brand new album for next year. 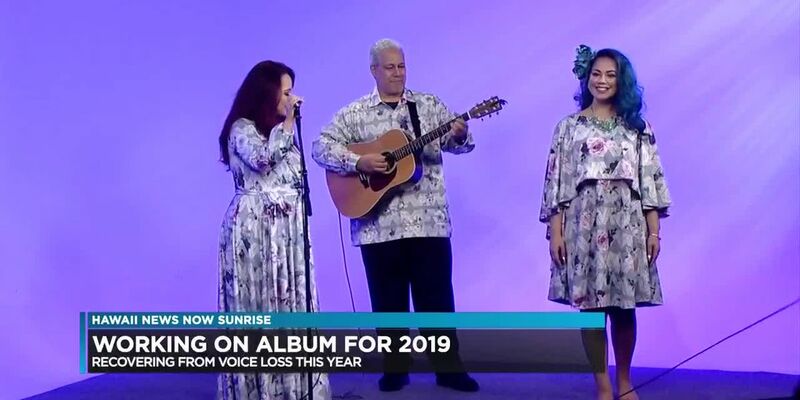 Kuana Torres Kahele, who has a brand new CD out titled “Back to Hilo for the Holidays,” is also introducing a new book as well. 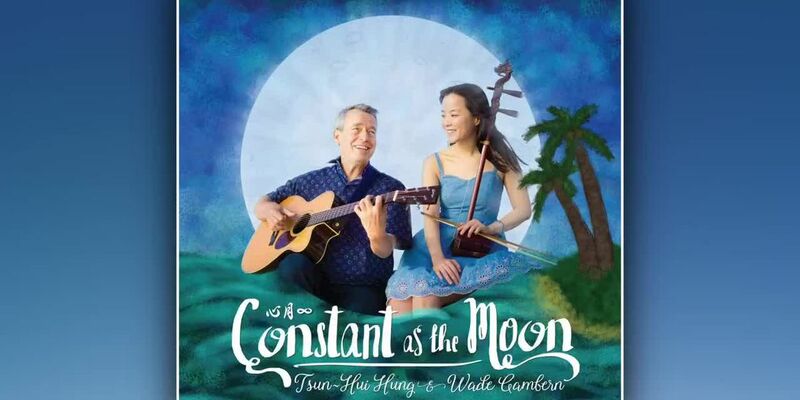 Kahala Records is a new record label here in Hawaii. 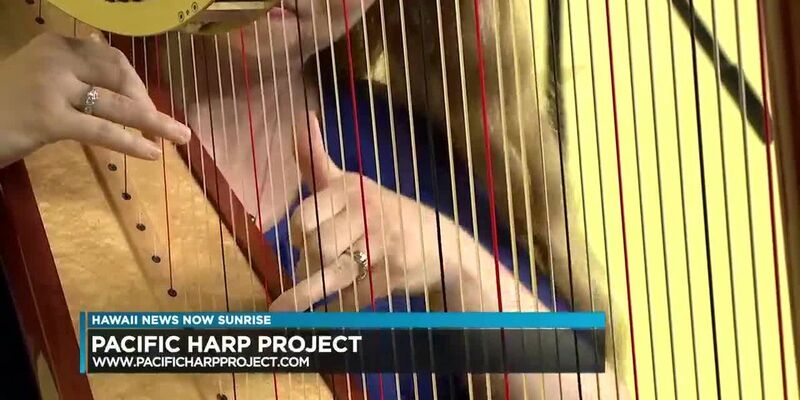 The Pacific Harp Project is celebrating the release of it’s new CD in a concert on December 21st. 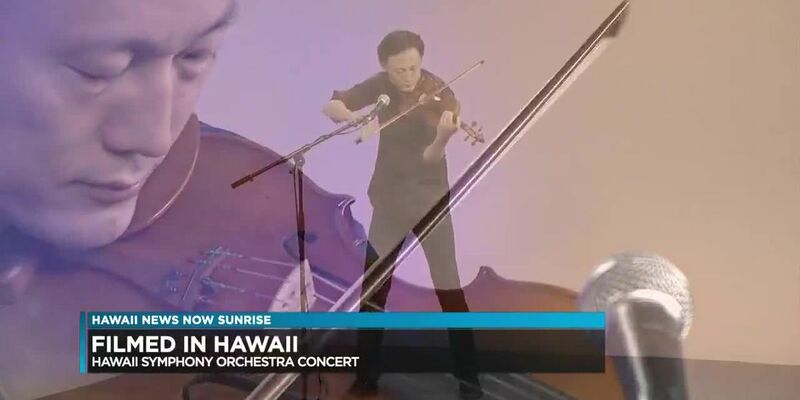 Kristian Lei is performing at the Mamiya Theatre next week. 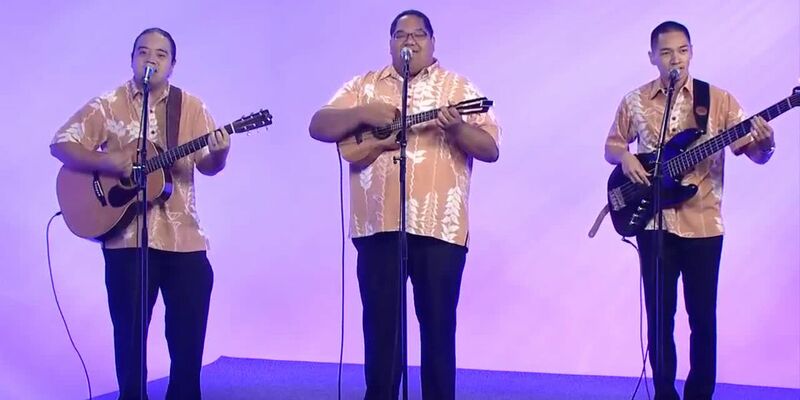 Na Hoku Hanohano award-winner Izik is coming to the Hawaii Convention Center. 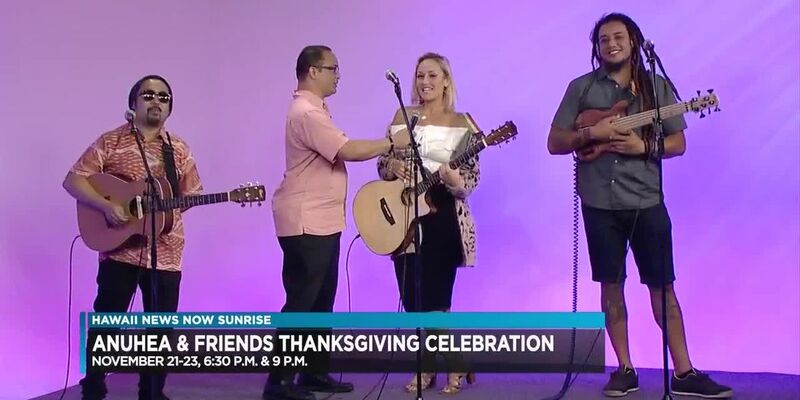 Anuhea is holding her 3rd annual Thanksgiving Celebration at the Blue Note this week. 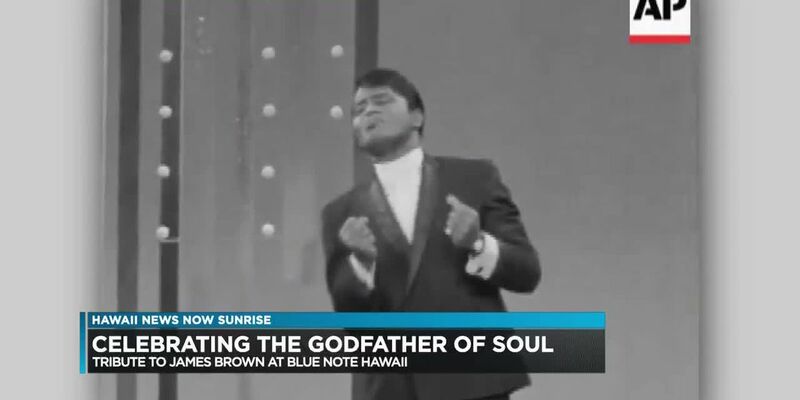 A tribute to the Godfather of Soul, James Brown is coming up at the Blue Note on Tuesday. 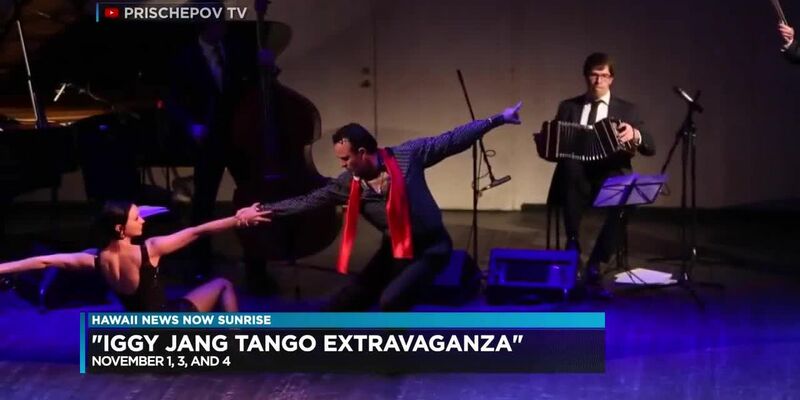 Hawaii violinist Iggy Jang is bringing back the Tango Extravaganza to the islands. 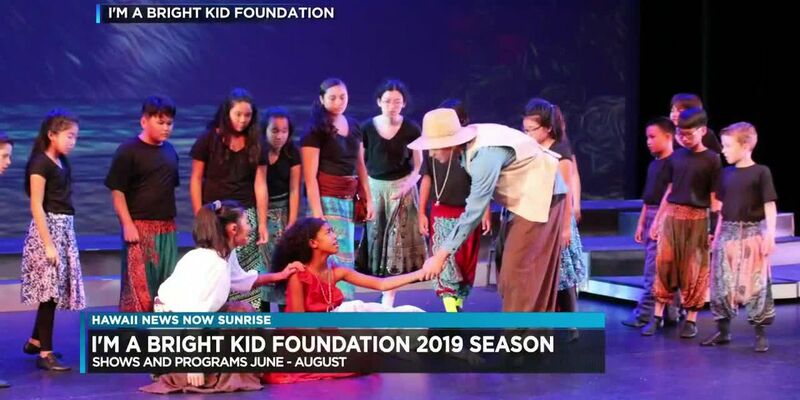 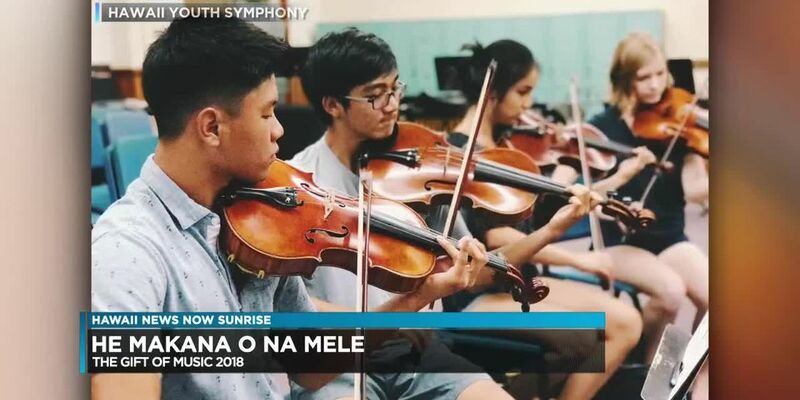 The Hawaii Youth Symphony will be celebrating the gift of music “In The Key of Sea” at its upcoming fundraiser. 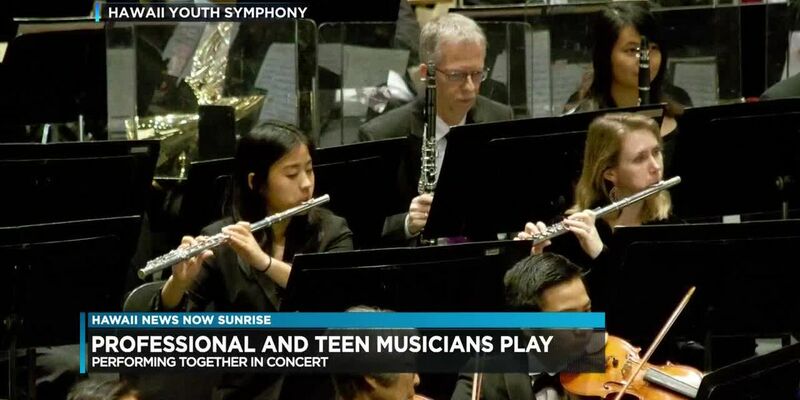 Hawaii Youth Symphony and Hawaii Symphony Orchestra will be performing in a “side-by-side” concert next week. 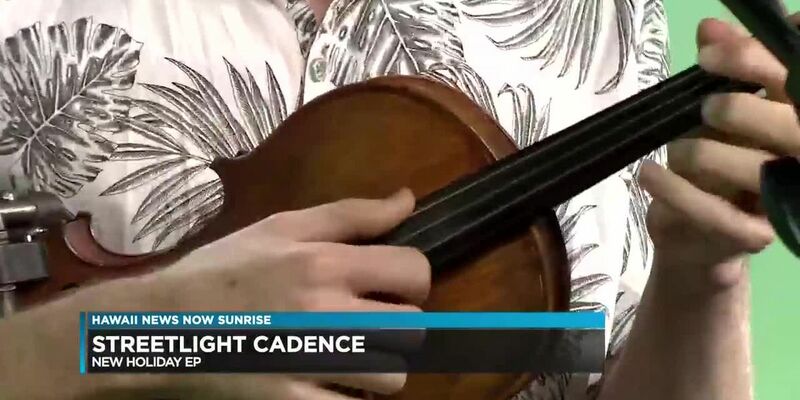 Ukulele artist Kris Fuchigami is holding his 6th annual Ukulele Contest in Hilo next month. 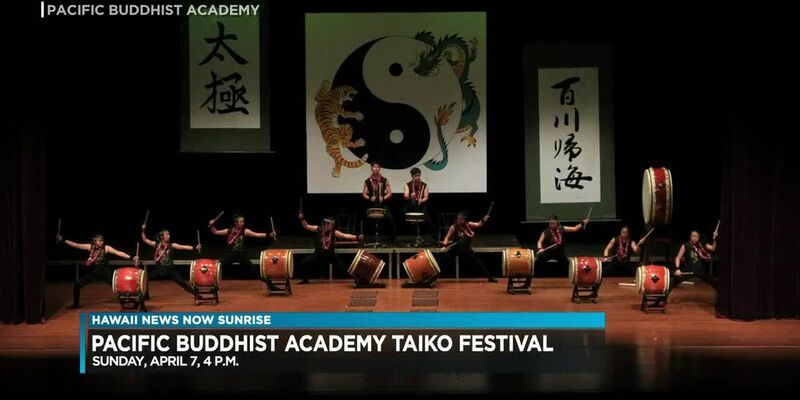 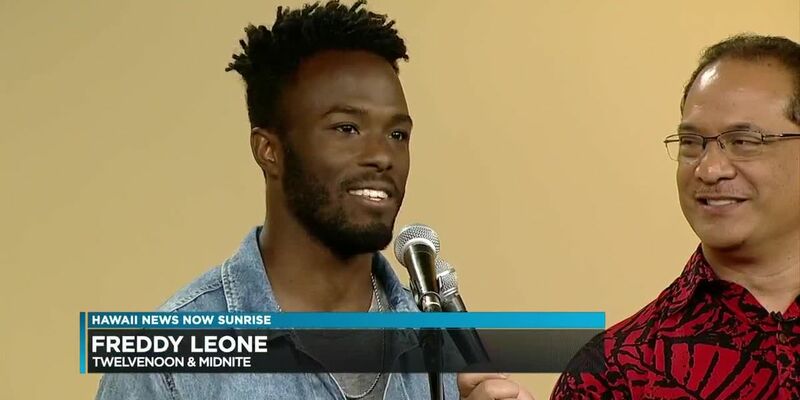 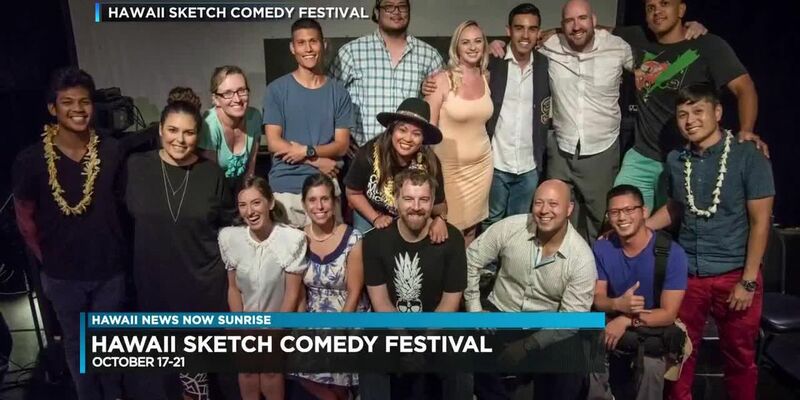 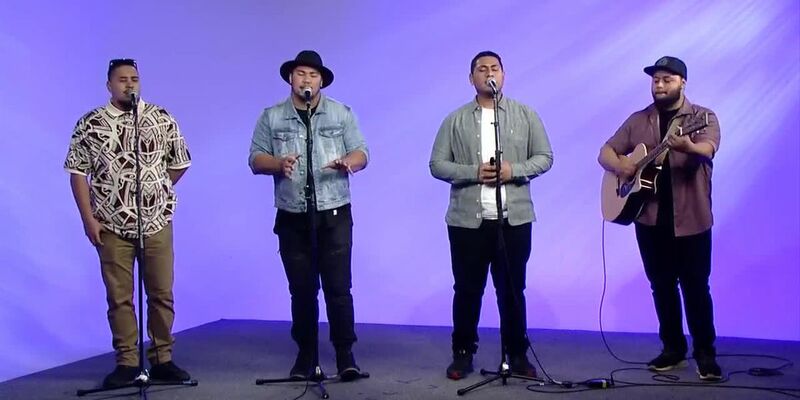 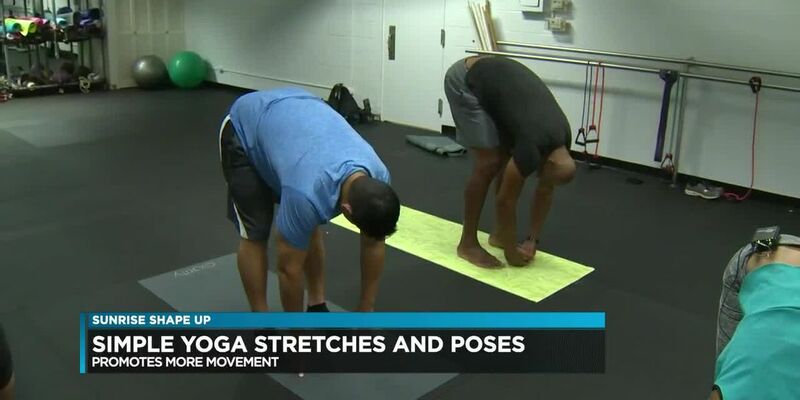 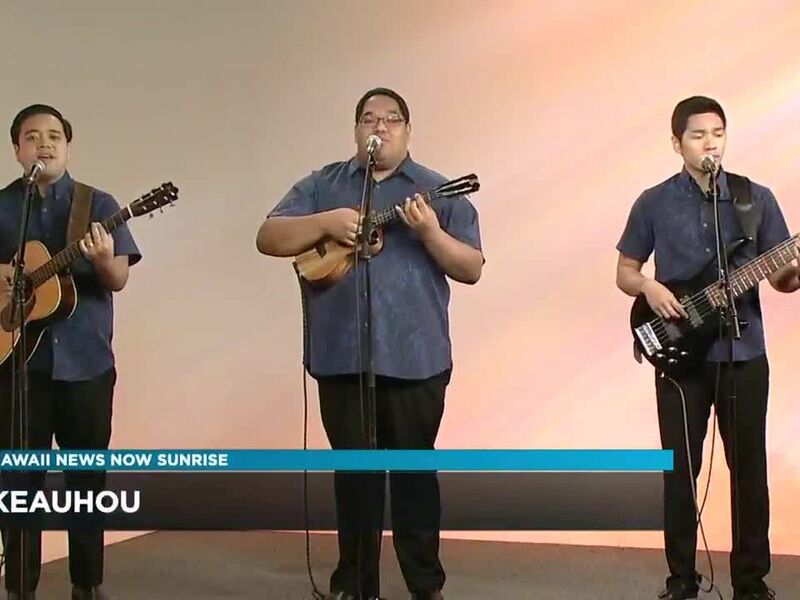 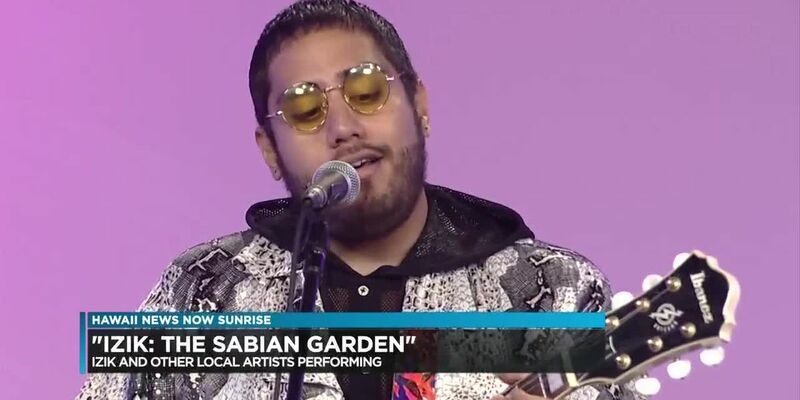 Keauhou was on Sunrise to tell us more about its last album in a 3-album series and give us a preview of the album. 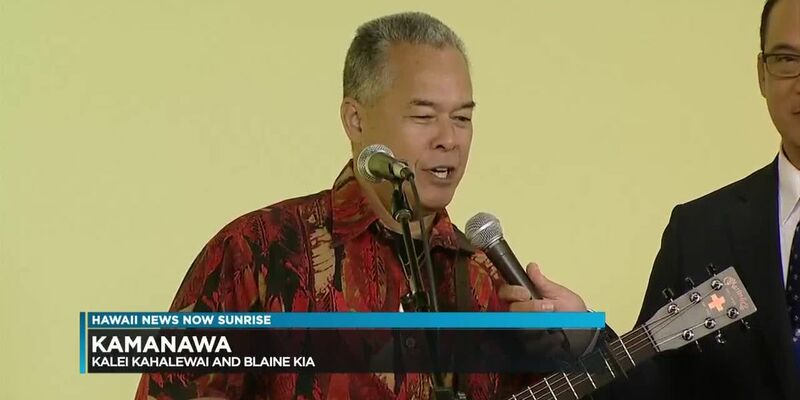 Maui-born musician Kaleo Phillips has released his first solo album. 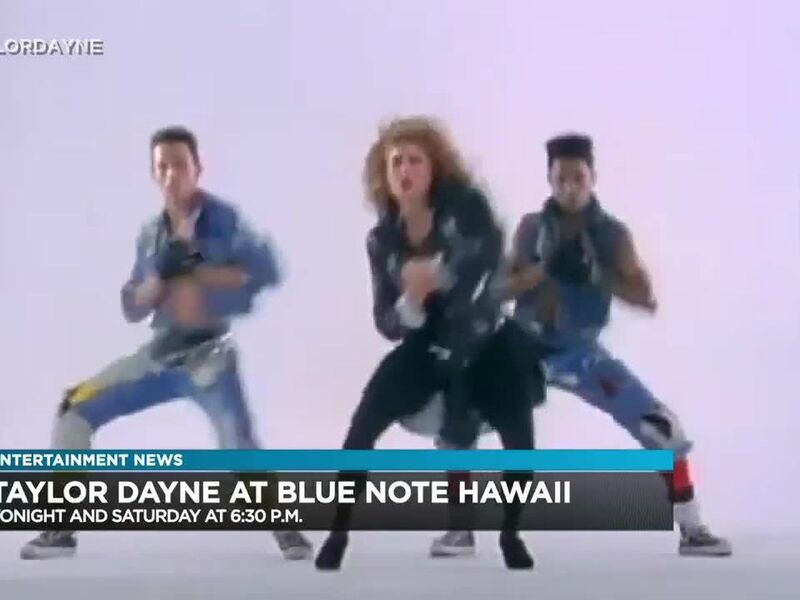 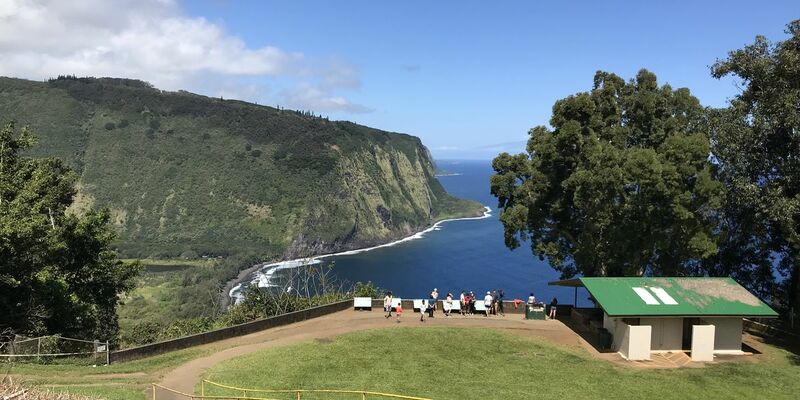 Break out your 70s and 80s-themed gear for the annual Give2Live Divas for Donors benefit to raise funds, awareness for Hawaii's bone marrow registry. 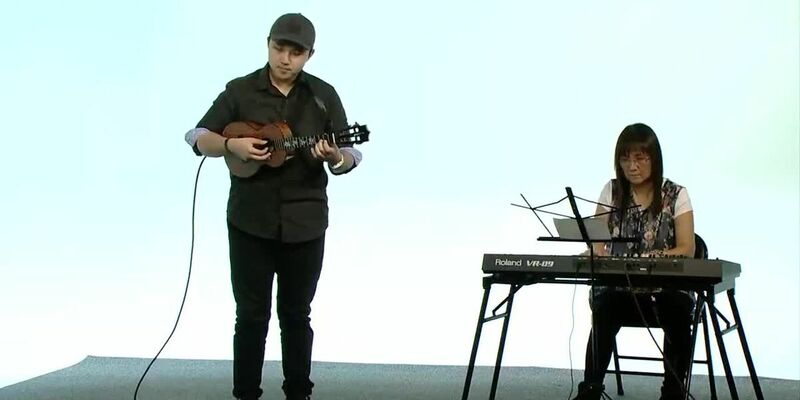 Grammy guitarist Norman Brown joins us today. 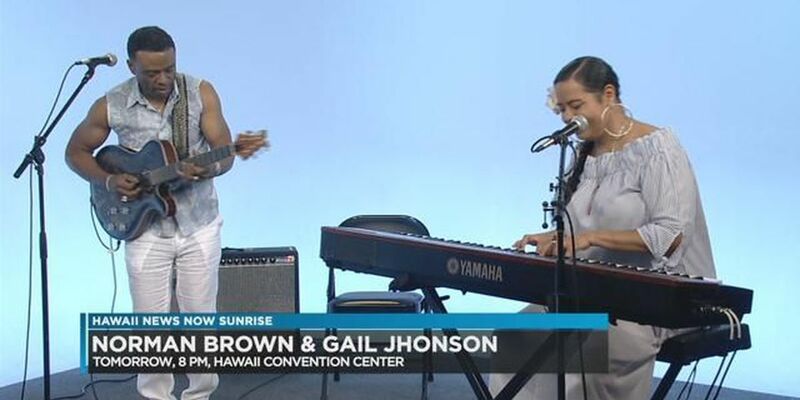 He and Gail Jhonson perform Saturday night at the Convention Center with Michael Paulo and all-stars from L.A. 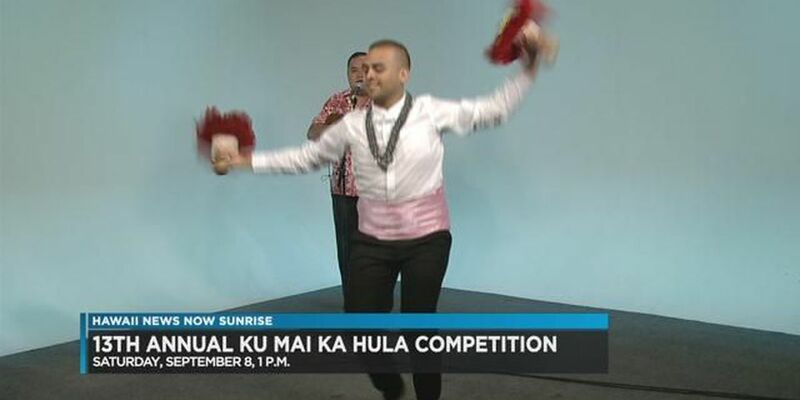 The 13th annual Ku Mai Ka Hula Competition is back! 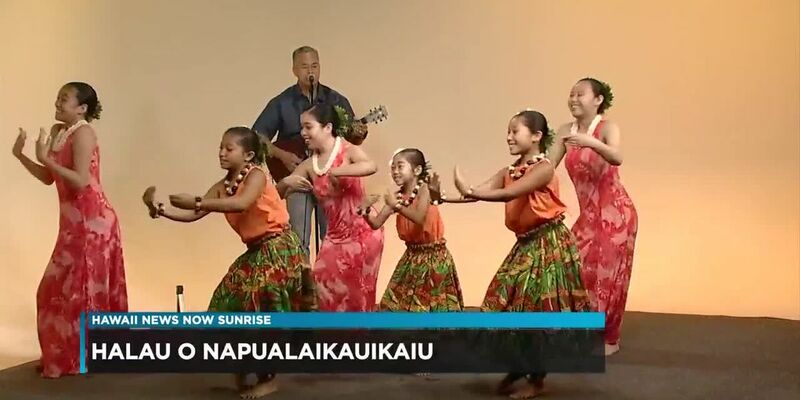 The 13th annual Ku Mai Ka Hula Competition is coming up next weekend.